Watch in real-time as Jamie Lidell builds up backing vocal harmonies using a special combination of Pro Tools varispeed and Soundtoys’s Little AlterBoy’s Formant control on "Building A Beginning" from his new album by the same name. Jamie is able to sneak extra layers of detail and texture into his vocal harmonies. Back in June 2016, we asked you to tell us what kind of Pro Tools user you are and it was clear there were more professionals working at home. Two years later we asked you the same question and we can now compare the results of the poll we took in 2016 and the poll we took in 2018. Grouping instruments in Pro Tools brings along a great deal of control and functional commonality. But when recording, sometimes all you need is to recall a selection of tracks without grouping faders, mutes, and other functions. In this free video tutorial, we will show you how to quickly jump between groups of unrelated tracks and put them into Record Ready, Solo, Input, or Mute when tracking and overdubbing. In this episode, Dan shares is go to stereo microphone placement technique that he uses all the time to record upright acoustic pianos. Dan prefers to place a set of microphones under the piano keyboard instead of above, watch the video to find out why. 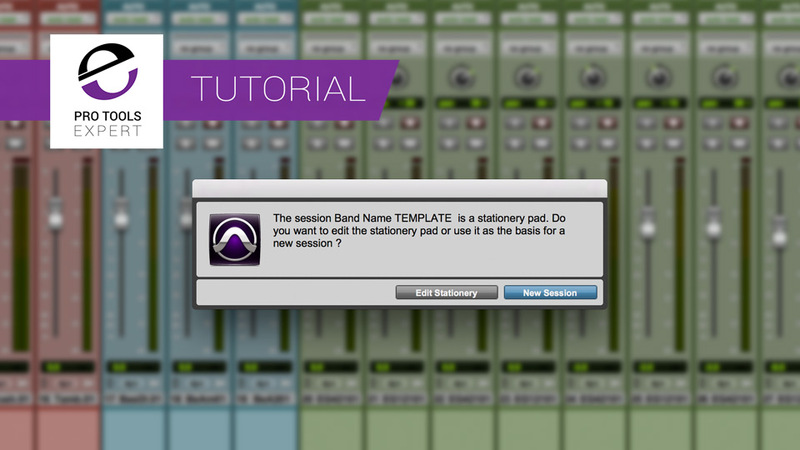 This free video tutorial shows how you can customize, and keep a record of your tempos for each take and playlist in your Pro Tools session. This not only gives you a handy way to keep your BPMs organized, it locks each click track to a take for tracking fixes and overdubs. In this video from the BAFTA Guru library, delve into the world of film sound effects with Pinewood Studios' foley team. Learn from Pete Burgis - lead foley artist, Zoe Freed - foley artist, Jemma Riley-Tolch - foley & edit assistant and head of audio Glen Gathard about why foley is essential in the film production process and how they go about creating the foley. In this, part 3 of this free video tutorial series, Steve Genewick and James Ivey cover the topic of click. A good, accurate and appropriate click track can make all the difference to the musicians who are using and listening to it. Steve demonstrates 3 tips for making sure your click track does not get you into trouble. When tracking a band in the studio, the speed of your Pro Tools workflow will largely determine the amount of work you'll get done. Time is money! This tip (Mac only) significantly shortens the time between the end of tracking one song and the start of another. Not only will it make you faster when jumping to new songs, as a bonus, it also organizes your session folders in the best way possible. In this free video tutorial, Steve Genewick and James Ivey discuss sample rates and high-resolution audio and why there are only a very small number of reasons that we are not all recording and working at higher sample rates like 96KHz or above In DAWs like Pro Tools. In this episode, Dan covers his one microphone electric guitar recording workflow along with some tips to help you get the most out of the sound from an electric guitar amp in a room. Watch to hear two microphone placement position examples. Dan tracks a doubled arrangement of distorted electric guitars followed by a clean guitar part to support the dynamics and energy of the arrangement. Watch the video to hear how small performer location changes left and right of the microphone produce different acoustic guitar tones. It pays dividends to get an acoustic guitar tone that compliments the song and production at source. Achieving an acoustic guitar tone that's well suited to a production in the tracking stage saves having to over process acoustic tracks in the mix with EQ.